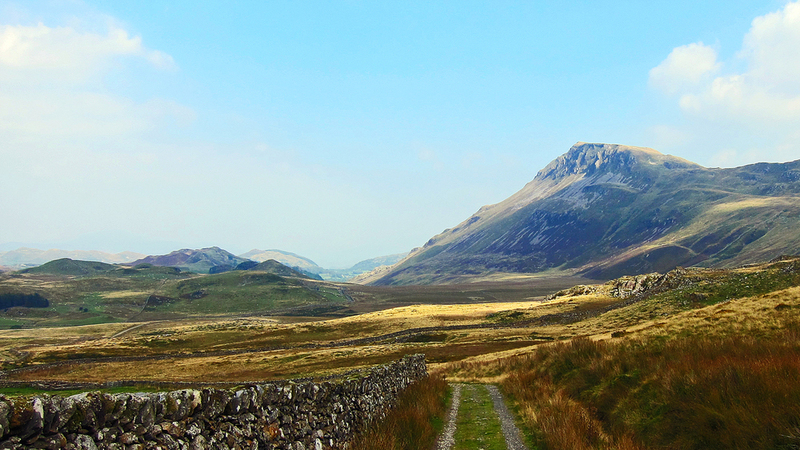 Meirionnydd offers up some really terrific running routes. An eye on the map, or local knowledge will find them for you. This run was about putting some time into my legs, and checking out how I was doing with hydration and nutrition on longer runs. I try and learn from every run I do. This run hurt, but I recovered quickly, so things aren’t as bleak as I thought for the Wye one way in a fortnight. With all of the hard work done, travelling around Cadair, and the majority of the 1000m of ascent done, this view leading back to Dolgellau really inspires me. What are the best trail running shoes? Here’s a question that gets asked a lot. And there are some things that make the best trail running shoe. Now, because of the difference in trails there is always a compromise. Here in the UK we have a variety of different styles of trails, and these throw heaps of challenges to shoes. Consider the difference between hard pack, dusty, dry forest fire road trails and sloppy, boggy, marshy trails after rain and you’ll start to see the fact that no one “foot tyre” can fit. Tractors have big aggressive tyre patterns compared to a formula one car. I dislike “waterpoof” shoes, instead I prefer quick drying shoes, which allow water to drain from the inside out. Think if you will about filling your wellies up with water and then walking 10 km. Your feet will be soft and broken. This is what having a liner in creates in UK conditions. There are places where it’s useful, but in my opinion, not on UK trails. In the same way, everyone feet are slightly different. High arches, wide forefoot, bony heels the list of “I’ve got’s…” is impressive. Get the right length shoe, and then learn how to lace you shoe up properly. Trail shoes aren’t a one trick pony – I have three shoes that I run trails in. I can run any trail in these three, but my speed will be massively affected by what I have on my feet. I primarily use the Roclites when I’m heading off the beaten track, mountain, forest and although not this pair, these were the shoe I chose for Marathon des Sables, Trail Marathon Wales, Brecon Ultra and some other off road races. The sole is, in my experience pretty spot on for UK trail running. The rubber is soft enough to give good traction on rock, wet and dry as well on wet tree roots. As the pictures show, despite this soft rubber, the wear has lasted well, bear in mind my running weight is a minimum of 85 kg, sometimes 90+ depending on how much water and kit I am carrying. The upper too deserves credit, these have smashed new paths through heather, run down scree, kicked big rocks in slate fields as well as pottering through Skye’s vicious Gabro rock. There is a bit of material damage inside the heel cup of one shoe, but that is my fault not the shoe, and after 700 km I think that this is a massive success for a shoe that often gets sodden! The Salomon Crossmax I use when I know I have a large amount of tarmac and hard pack and when I know there are not steep grassy slopes involved. I love these shoes for running alongside canals and rivers. I haven’t raced in these, primarily because I’ve not entered a race where the terrain has suited, but I would use them for any of the Thames path races, or at this stage, something like Ring o’ Fire. These also get a fair hammering through the undergrowth. Though I don’t think this is the reason for the failing upper over the bridge of the toe. The speed lacing system is very effective, and I do like this very much where I don’t need to tension the shoe in a non standard way (swelling feet, steep terrain). The rubber compound is very solid, sometimes at the detriment to grip in the wet. I don’t trust the soles much on wet rock, or tree roots, but this is perhaps because I’m acutely aware of this where I run the majority of my routes. Whilst the Asics get used mainly on tarmac, I’ve added them here for a specific reason. I use these where I’m running fire trail, or prepared trails where the surface isn’t broken. I also think the Asics demonstrate how it is possible to make a very long lasting shoe. Whilst these upper do not get abused anywhere near as much as the Inov8’s these do get wet and mucky fairly regularly and I’m really impressed how well they look after 1400 km’s. The sole rarely gets anything more complicated than some big pebbles, and some pretty steep tarmac that I have locally but the sheer volume of footstrike these have experienced (nearly half a million) with my 85kg on top of them are a massive testament to the build quality of these shoes. The grip side of things is never an issue for me, but that is because they are never pushed in a position where I ever really test it. The major win for these is the sheer contact area that they have available without knobbles! Which are the best trail shoes? Well they’re the ones that work for you. I consider that I’ve tested these three shoes reasonably extensively in UK conditions. Is one of these the best pair of trail running shoes? For me yes, I could pick one pair for all my trail running. I’d prefer to have all three pairs, and I will probably keep on experimenting over the coming shoes. Technology is still evolving in trail running and that will bring about better shoes. Which should you choose? You should choose a shoe that suits the majority of the conditions that you run in. If I had to choose one pair of shoes from these three, it would be the Inov8’s. In fact I have a few pairs and would happily run any route that went off road in them. Trust the shoes on your feet, and go run exploring. The best kit in the world does no good sitting on the shelf! Run training with Strava premium, is it worth it? I choose to be a Strava premium user. I like statistics, my running buddies often ask me whether paying for Strava is worth the money. I think it depends on what you want, but if results is your thing I would say, yes, it’s a handy tool to have in your toolkit. So here was my test. In May, having come back from Marathon des Sables, and *ahem* eaten my way through my recover. I needed a clear goal to get me back and training hard. So I looked out the window. And this is what I saw, obviously without the writing! Next job was to create a segment, so 4th May I went for a run, starting and finishing where I wanted my goal to be. Here’s the link to that segment, so now I have the statistics it’s 6.6km with an 825m ascent. I also now know that it takes me about an hour and eleven minutes to get to the top. It is also a climb category “HC” which is tough! Now, this is where premium kicks in, you can then set a goal for the segment, which is time limited, and this appears on your dashboard every time you view Strava. It counts you down to the deadline. I picked 4 months as that felt sensible. Then, I almost forgot about this goal for 8 weeks, I focussed on training for Trail Marathon Wales, well when I say focussed, I focussed on the race, but not the preparation and got the result I deserved…slow. But then, I started using Strava to analyse where I needed to gain. It was in my speed. My stamina was good, but I needed pace work. So, I set a one km segment and tried to get that speed down. I entered a short trail race and set myself the challenge of a Cooper Test (all out effort for 12 minutes). One thing, each month where speed was being measured. Then I looked at my daily training against my heart rate. I then made sure I was spending one session in my tempo category, and one in my threshold, as well as keeping up the long steady runs. I used the “goal segment” for a couple of my long runs, just to check the route and see where my pace was naturally going. By mid August I had taken just over five minutes off my time. The segment analysis now lets you see where gains can be made, and that is mentally noted to go hard at. This all means that staying injury free is easier. All the while I’m learning more about how and when I run at my best. I had a slight hiccup, my aim was to have a go at the goal three weeks before the deadline, however darling daughter giving me a cold put paid to that!! So, finally I had a shot at the goal today. In 4 months, I knocked nearly 14 minutes off my time (that’s nearly 20% lost). Yes it hurt, but looking at where I made pace, I was moving consistently faster across the terrain. I’m very, very pleased! Could I have done it without Strava, probably. But as someone who trains on my own, a lot, it’s great getting kudos and feedback from the followers. It really keeps me motivated not to duck a training session. Strava premium, is it worth it? I think if you want to make gains in your running. Strava should be there in your training toolbox! “If you don’t know where you’re going…. …you can’t get lost”, goes the saying. I’ve an impending sense that everything is about to go off the hook busy. Now I’m a busy person, but I feel like a lot of buses are going to come along at once. That’s ok. I just need to keep working on the balance. So today’s run I needed to go somewhere where I didn’t think, just relaxed into it. It was supposed to be a “lunch run” but that got put back a bit, and I spend a little longer running than I wanted, but that’s ok too. I’ve been trying to process what Rachael (Meirionnydd’s latest member and relatively newcomer to the Ultra scene) has being saying in her recent blog. I know where she’s coming from, in that competition has to be appropriate, and as a self confessed “soul runner”, what she says, in many places, resonates with me. Except, I’m starting to get more and more competitive. Perhaps my frame of reference has changed, or maybe I just need to run my hardest at the moment. Hard to say. I’m sure I’ll process on one run, soon. Today, I took the camera with me, I didn’t run against time or distance, I started the run as a journey and that stayed with me. And, perhaps more importantly, I didn’t really know where I was going. I knew where I was starting, and I sort of knew the topography of the area, but the rest was just a meandering run to pick up the views and bimble around some amazing places. As usual, I was rewarded by this approach! In this part of Coed y Brenin the views are far reaching, picking up the Rhinog, the Migneint, Rhobell Fawr, the Aran and Cader Idris. The point at which I contoured round Moel Hafodowen, always shows me the opportunity for outdoor sport in the area. Each river valley, hill, trail and area full of so much potential and relatively unused. I enjoyed the run, because it was a bit wild and wooly, and also nothing occupied my mind but running through such a beautiful space. No glancing at my watch, no worry about map reading. Bliss! I’m planning on a “Cooper Test” tomorrow, so back to pain and suffering in my training. I think the test has to be one of the most horrible 12 minutes of running ever! But, with the Wye 50 miler race is looming this month I’ll be glad of the discipline. As always, I come back from bimbling refreshed and reinvigorated. Now, time to find a place or two to park these buses.